You’ve just got back from America a couple of weeks ago playing SXSW. Was that the first time you’d been to America playing? Thomas : That was the first time we collectively as a band, the furthest we’d been overseas. I think we had a lot of expectations as to what it would be like in our heads and it was completely different in some parts. For the better. It was a great time we had over there and would love to do it again. So you’re looking to go back to the States? Thomas : Absolutely. We fell in love with the idea of the place. Matty : I think if we went back, we’d probably do a full tour otherwise it’s not really worthwhile. Charlie : It’d be nice to go and spend a bit longer over there, make it more of an experience and see more of the place. How do you think you went down with the American audiences? Charlie : It’s difficult to tell because it’s a big industry festival and there’s a lot of British industry people there as well, so in that sense it could feel the same. The second show we played had more of an American audience, less industry, that was probably the best one, a really good show. Like I say, it’s difficult to gauge. Did people know you and know the songs? Thomas : They were incredibly receptive over there, that was the important thing. We weren’t too bothered whether people knew us or didn’t know us, we wanted people to dig what we were trying to do and trying to say and we went down well. The particular show that went well was where we were given the “don’t climb on my speakers or we’ll shut you off” speech. I think because of how exciting that particular night was because of the audience, we really pushed the boat out and I ended up climbing on the speakers and getting cut off. But I bought him a beer afterwards. The sound guy was pissed (off) but I apologised so he was cool. You’re going to Europe as well after your UK dates going back to playing smaller venues. Are you excited to be almost returning to your roots in places you’ve not been to before? Charlie : It feels like starting again for us. We have to treat it with the same attitude we did when we first started. Not that we don’t have that still, but there’s a different approach to playing somewhere like The Ritz to your own audience where people do know the songs where you’ll get energy from the crowd to playing in Germany where people might not know the songs and coming down just because it’s an English band. It’ll be interesting to see how we go down there. You’ve got these big shows in the UK, Ritz, Scala. Is that what you were hoping for when you first formed the band, that you’d get to that level or further? Matty : When we moved to Manchester at first and saw The Ritz, since then we’ve always dreamed of doing our own show there. Charlie : We’ve always taken it step by step. We had the ambition to sell out The Deaf Institute and The Night And Day and now we’re thinking we’d love to do the Albert Hall or the Apollo. It builds up, but we don’t want to look too far in advance. Thomas : You never know when it can all fall to bits. You said about when you moved to Manchester and you often get classed as a Manchester band, but you’re not from here and you’re still proud of where you come from. Does that frustrate you? Thomas : If you look at it on paper we’ve spent our adult life in Manchester, but I think we’ve got the most important part out of both areas. Doncaster, for us to grow up there was very important to us politically and grounded us and is a good sense of how we are as people as a result. Manchester then for completely different reasons provided what it provided - the environment influences all of our songwriting. So if you’re writing songs for the second album, does it feel like Manchester is becoming, what you see in Manchester at least, is becoming part of that process? Thomas : It’s more the characters that you see around Manchester. Columbia feels very much like a Doncaster album. It’s not really for us to say as you don’t want to analyse your own songwriting too much otherwise it gets really weird. Charlie : I think coming to Manchester to go to University helped us to broaden our horizons more, led us to read the books that we’ve read, that sort of thing that have influenced the music more than Manchester or Manchester bands. How far are you progressed with the second album? Thomas : It varies really, there are avenues we are currently exploring and obviously we’re going to try and go as far down those said avenues, but eventually we will reign it all in and get a consistent sound, but at the moment we’re experimenting. So it’s writing lots of material then filter it down? Thomas : We’re writing everything that comes into our heads then we’ll decide where we want to take it. Have you got a time frame for it. You’ve got these big gigs at the end of the Columbia cycle, then what comes next? Charlie : I think we’d want to get everything written by the end of the summer. After these shows we’ve got a quiet period before festival season so I think that’s when we’ll be writing most together. Obviously it depends on recording schedules and all that stuff. In terms of records, Columbia has that very distinctive and striking album cover with the face paint. Is that something you’re going to move away from as you move on? Thomas : I think what we’re moving towards is wanting to pair music up more with visuals in a much more profound way. Charlie : In terms of the make up, that’ll go. Thomas : Yes, that will go. But we’ll still look to use imagery with the music. Charlie : We’ll run with imagery but do it in a different way. How that works live, we’re not quite sure yet, but a lot of the songs we’re writing are quite visual, playing around with a lot of imagery in a more diverse way. Thomas : We’ve not really set out any concept other than songs deal with individual characters with individual eccentricities about themselves. At this moment in time we don’t really know where we’re going with it. We’re enjoying this time a lot, it’s nice to just be able to write music. Is that what you’re doing in this downtime? Thomas : Yeah, we’re writing all the time. Obviously we’re very enthusiastic about these shows coming up, but musically writing is our main process. Thomas : It’s a phrase that you pick up somewhere. It can be from a newspaper, a full work of a novel that you want to summarise in a short song. That’s where we take it from, it always starts with the lyrics and we weave a web around that particular phrase or book and write the music around the lyrics. It’s a long process but it works for us. It feels natural, the music comes out of nowhere once you’ve got the lyrics down. Looking forwards, how far do you want to take the band. Do you see yourselves playing arenas at some point in the future for example? Thomas : I think many bands have a virtue that they fall into a place where they fit. I don’t think we can answer that question until we reach that point. As Charlie was saying before, we’ve never set end goals, it’s always been very gradual, the next steps have always been logical to us. So until we can find a plateau, and that hasn’t happened to us yet, then we don’t really know what type of band we’re going to be in the future, but we’re enjoying the ride up. 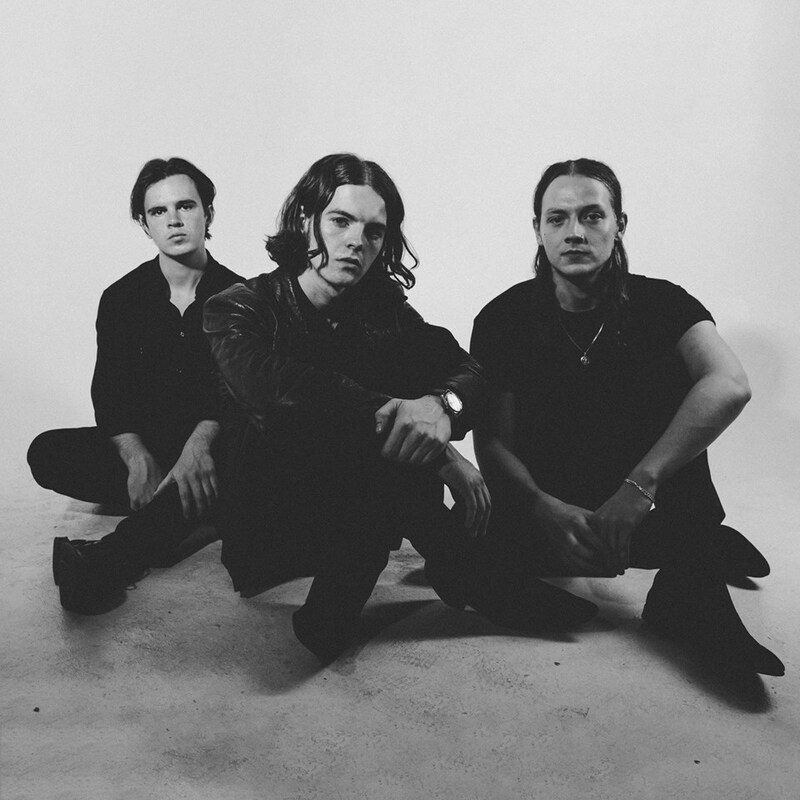 The Blinders' website can be found here and they are on Facebook and Twitter. They play Birmingham O2 Institute (April 26), Manchester Ritz (27), Glasgow St Lukes (28) and London Scala (30) before heading to Europe at Cologne MTC (May 7), Hamburg Molotow (8) and Berlin Cassiopeia (9). The band will be supporting Safe Gigs For Women during the tour.